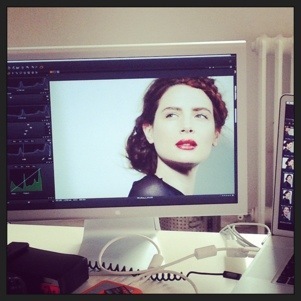 What happens on set and off set, tips, tricks and stories from this fashion model. 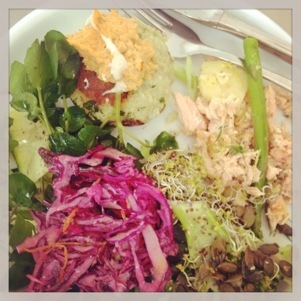 Photo Shoot Lunch- Gluten-Free, Low Fat and Delicious! Although you would think a photo shoot would provide healthy, low fat lunches-not only for the models who are supposed to be fit and healthy, with glowing skin and thick lustrous hair, but for anyone in such an appearance based industry….sadly that is not always the case. Rarely ever really. Well today I have been pleasantly surprised! Will be recreating some of these recipes soon, so stay tuned! This entry was posted in A DAY IN THE LIFE OF A MODEL..., BLOG and tagged gluten-free, Lunch, model diet, photoshoot on June 20, 2013 by Kelly O'Dell. 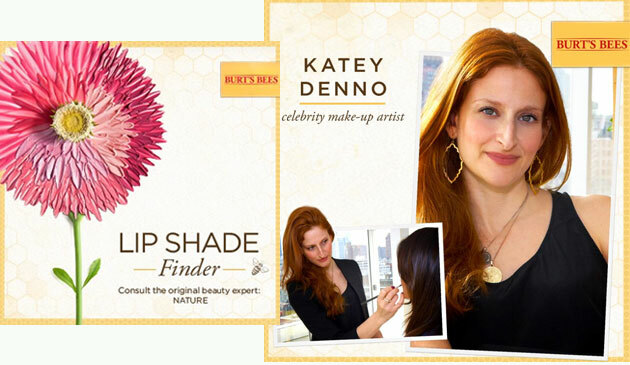 Interview with Katey Denno, celebrity make up artist (her clients include Christy Turlington, Felicty Jones and Amanda Seyfried), Burts Bees Make Up Expert and one of my favorite make up artists to work with! Consistent with the idea that what you put into your body ultimately determines your overall health, I believe the same when it comes to what you put on your skin. 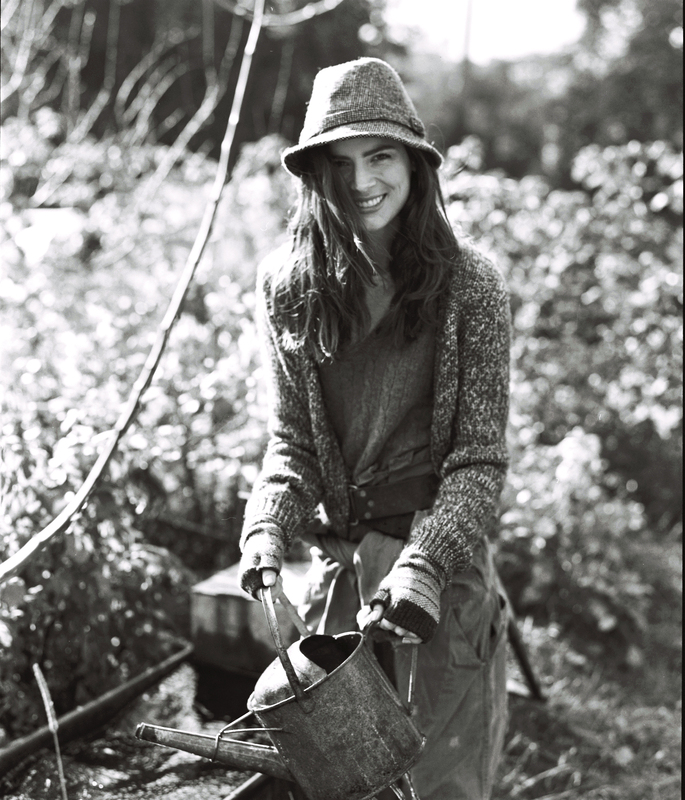 Katey believes in using all natural and organic products as much as possible. As a model it’s really great to work with a makeup artist who not only wants to do a good job but actually cares about the skin of her clients. 1. What made you go into “all natural, good for you” makeup? “A few events came together as the catalyst for my focus of using products from -and spreading the word about -the green beauty industry. When I was a social worker for the first 10 years of my adult life, I worked primarily with women in difficult situations. Towards the end of my time in the field, I focused on work with folks infected with HIV and AIDS. It became really apparent to me that what you put on your skin winds up in your bloodstream. I carried that observation with me through the first few years of my makeup career, and when my best girlfriend was diagnosed with cancer at the age of 34, I thought: what can my role be in making sure she’s as healthy as possible through treatment and into recovery. Research led to more research and testing of tons of products. I’ve interviewed countless experts in the world of non-toxic beauty, and I continue to gather info daily”. 2. What advice do you have in regards to eating and drinking for healthy glowing skin? “I’ve come to know that what we put in our mouths -food and drink – contributes at the very least, 50%, to the overall quality of our skin. There is a direct correlation for the overwhelming majority of the population between how well the liver processes our intake, and the glow and clarity of our skin. Eliminating processed foods and refined sugars from your diet will almost definitely give you noticeable results in how your skin cooperates. Skin issues and complaints change throughout the years, and from decade to decade, we see such different skin care concerns: acne, excess oil, wrinkles, rashes, outbreaks, sagging, and dryness are all normal, and can be tempered by seeing what foods and liquids your body responds to well, and eliminating those it doesn’t. Common culprits for acne: nuts (unless they’ve been soaked overnight), alcohol, avocados, dairy. Common glow-inducing foods: green juicing, coconut oil, olive oil, lemon (in water), all green veggies, fish“. 3. What are your favorite products at the moment? ” I’ve been a fan of face oils for a long time. I love the task of finding the oil mixture that suits each persons’ skin, since the viscosity of each is quite different. They penetrate quickly, absorb fully, and hydrate intensely. Also, for days when wearing a lip color isn’t of interest to you, but you don’t want to be bare lipped, a tinted lip balm is my go-to”. 4. Can you tell us a trick or tip, as an industry expert, for “model ready” makeup? whichever side of your face you’re on, angle your wrist 45 degrees towards your nose as you’re clamping at the root, this forces the outer corner of your lashes to get a more thorough curl, thus opening your eyes even more. Miss this outer edge and you might as well not bother curling”. For years, models, celebrities, friends and co-workers have asked me to “slow down!” while I’m speaking so that they can take notes on my makeup and skin care tips, advice, and cautions. I finally took note myself, and decided to jump on the bandwagon and create a blog so that I can share all of my acquired knowledge and experience with a much larger audience. Makeup and skin care aren’t the only topics about which I’ll be writing; all of my posts will be rooted in the idea of creating a more beautiful you, and a more beautiful life, in all ways. I’m an avid researcher and teacher, and one thing I’m very passionate about is the fast growing ‘green’ beauty market. I’m excited to share the latest information on advances being made in this part of the industry, what it means for you when you’re standing in front of a wall of lipsticks or countless moisturizer options, and of course, no beauty blog would be complete without them: how-to demonstrations and frequent product reviews. Everything whole, skin on, but rinsed (organic if you can), into a juicer and juice away. Sooooo good for you and you will SEE the benefits on your skin! This is my daily skin elixir. Tip: if you need extra sweetness toss in another apple or pear. 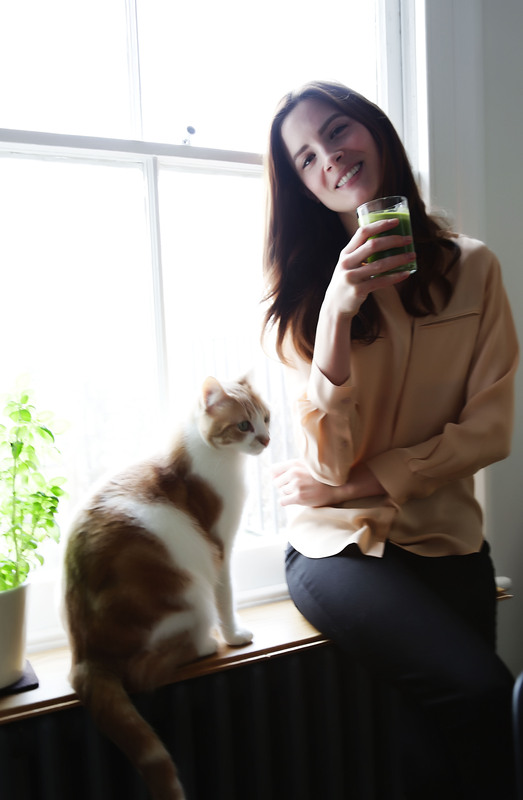 This entry was posted in A DAY IN THE LIFE OF A MODEL..., ALL THINGS: KALE, BLOG, JUICING and tagged all natural, beauty, Burts Bee's, celebrity, Katey Denno, make up artist, models, Skin care on May 21, 2013 by Kelly O'Dell. M1: How long have you been modeling for? KO: I’ve been modeling for about 20 years now. I’ve seen A LOT! M1: What are the best bits & the worst bits about being a model? KO: Travel. I have been to over 30 countries. I’ve lived in Tokyo, Hamburg, Paris, Milan, London, New York, LA and Toronto. Experiencing different cultures has been an education you could never learn in school. Seeing how different people live, eat and work really opens up your mind and teaches you respect for other human beings and societies. Travel is something every young person should do before they settle down somewhere if they have the opportunity. Modeling is a unique profession in the sense that a model has no control over how much she/he works. Some months you can be booked everyday and others the phone doesn’t ring. With experience I’ve come to figure out how to use these slow periods to my advantage: by doing something that I love. I would tell any model to find something she/he is passionate about and use the down time to invest in that. Most people have to work 9 to 5, 5 days a week. As a model, we have a lot more time to ourselves, so why not do something that you enjoy and could possibly make into a second career one day, Like I’m doing? M1: What do you do alongside modeling? 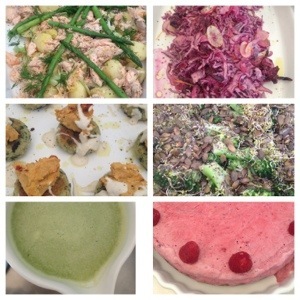 KO: I just launched my food and nutrition counseling blog and website. This is something I have been passionate about for years and I’m excited to share my ideas and advice about eating healthy, cooking great veggie-centric recipes and how to bring balance to your life with other people. M1: How do you keep healthy & in shape? KO: Listening to my body is the number one way for me to stay healthy. I feel good when I exercise regularly; it gives me so much more energy. I love to run (5km 3-4 times per week) and practice Yoga for flexibility, stretching and meditation. I walk whenever I can. I eat a mostly vegetarian diet, with some fish/seafood and dairy. Lots of whole grains and fresh fruit. Mostly Organic and local when I can. I take supplements when I feel they are needed, otherwise I get my vitamins and minerals from the food I eat. M1: What one piece of advice can you offer to other young girls who are starting modeling regarding health & fitness? KO: Remember that no two people are exactly the same. You have to find what works best for you as an individual, what your body and mind respond best to. For example, I can’t tell you how many models I have met that are vegan or only eat raw because that’s what’s in “fashion”, and as a result have low energy, bad skin and just feel wrong. Different bodies will respond differently to different diets. You have to find what’s right for you. Learn to cook! If you don’t know how to make quick, tasty and healthy meals for yourself you will end up eating junk food or no food at all. Learning about food and eating right is the best way to stay healthy and take care of yourself. M1: What kind of things have you seen regarding models & eating habits? KO: I have stayed in many models apartments over the years and I really think I have seen it all when it comes to bad eating behavior. When you have no knowledge of food or cooking, it is really hard to nourish yourself properly. The worst things I have seen are apple diets (only eating apples), sucking on ice cubes to stave off hunger, dinners of pasta and ketchup, salads with no dressing for every meal and of course the model special as I like to call it: cigarettes and diet coke. Unfortunately this happens a lot because girls start their careers very young and have never actually cooked a meal. Or because they are so desperate to be thin and are ill informed on how to lose weight that they do crazy things resulting in more harm to themselves. M1: Do you have a secret food/s? KO: Kale! Its not really a secret as you can buy it anywhere these days, but I absolutely love it. It’s versatile and SO good for you! I use it raw as my main ingredient in Green Juices, I bake it with a little sea salt for the healthiest crisps around, I sauté it lightly and drizzle with olive oil and lemon for an amazing side dish or sprinkle toasted pumpkin seeds on top with a little crumbled goat cheese for an amazing salad. I stir it into soups and stews and I add it to delicious, healthy curries. 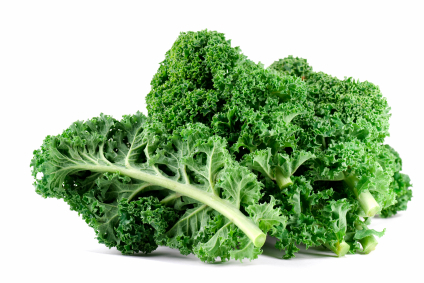 Kale has anticancer properties, it helps to lower cholesterol, it’s an anti inflammatory and antioxidant. Bursting with nutrients, it’s high in Vitamins K, A and C. It is also high in Fiber and Manganese. Only 36 calories per 130 grams. M1: Do you have a secret product/s? 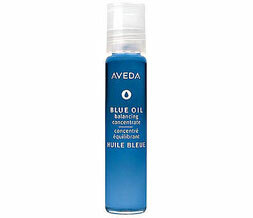 KO: My favorite product that I take everywhere is Blue Oil from Aveda. It has mint and chamomile and comes in a small roll on stick so you can carry it anywhere. You use it on your wrists and temples for stress relief and relaxation. Mint is very cooling in nature and helps to calm stressed nerves and even sooth headaches. A must for any plane ride! M1: What is your skin regime? KO: Clean, moisturize, sleep, plenty of water, de-stress and eat healthy. Sounds easy right? Everyone knows by now that we should all be drinking pure water, at least 8 glasses a day, get at least 8 hrs of rest a night, use a good moisturizer and clean your skin well. That’s the easy part. The other part is a bit harder but in my opinion the most important. Stress and poor eating habits can cause illness and even disease. It can also cause premature aging, dry or oily skin, rashes, hair loss, acne, thinning hair, dry hair, dark circles, just to name a few. Your skin is a mirror for what is happening inside of your body, nourishing the inside properly will improve your appearance and maintain it for the years to come. M1: What are you currently working on now & over the next few months? I am also currently putting together an exciting and informative Healthy Eating Program specifically designed for models. You can check out my website at www.kellyinthekitchen.com for great recipes, kitchen tips and tricks, one on one nutrition counseling and all things food, travel and health. Why you should bring your own lunch to work! it’s a photo shoot with fashion models. The same models who are supposed to be role models for girls and women everywhere. Now I know a lot of models get a bad rap for their eating habits, however a lot are actually very healthy and strive to make a difference when it comes to body image and dietary behavior. So you would hope that clients, who work in the fashion industry, would want the models working for them to be well fed and feeling good so they can do a good job (and work outside for 12 hours in 0 degree weather with a smile!). Well apparently not this client. 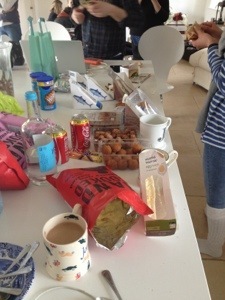 Sausage rolls, deep-fried pork balls, chips, egg mayonnaise, bacon and cheese sandwiches with coca cola and chocolate bars for desert. Really?? So that’s why I bring my lunch (homemade, fresh, healthy and delicious!) to work. This entry was posted in A DAY IN THE LIFE OF A MODEL..., BLOG, Uncategorized and tagged Lunch, model, model diet, photo shoot on April 24, 2013 by Kelly O'Dell.